Michael is grateful for the recognition and numerous reviews he regularly receives from clients and the legal community. Click HERE to see over 2 dozen client reviews. Click HERE to see comments from attorneys. Knowledgeable, Trustworthy, diligent , Compassionate – When I first met Mr. Harwin he made me feel comfortable about meeting with him and discussing my situation. Mr. Harwin was up front with me on how things would and could go regardless of outcome. I found that quality to be one of the biggest things that stuck with me. (Honesty) Which is very hard to find these days. Mr. Harwin wasn’t about just doing his job he wanted to make sure I was making the right choices to hire him to defend me as well as the right choice for me. Simply the Best! — Three critical areas immediately come to mind – competence, integrity and communications. Michael excels in all three and also has a fourth quality which serves his clients well – compassion! Prior to speaking with him, I checked Michael’s rating in Martindale Hubbel to see what his peer group thought of him. He has an exemplary rating. If you need an attorney, you need Mr. Harwin — Mr Harwin was engaging, honest, to the point, compassionate and above all else, really cared about my case. Even though I imagine that for him, this case was “small potatos”, he understood that it was a big deal to me, and he really showed up for me every step of the way. I am very grateful to Mr Harwin, Letty and my family member who referred me. I would recommend Mr. Harwin to anyone looking for an attorny who is different than all the stories we hear about lawyers. Someone who cares, hes fair and he does his job and does it well. Thank you Mr Harwin and Letty, I really appreciate you both from the bottom of my heart. Genius Lawyer who saved my backside… and actually a really nice, funny guy — Michael is an incredible advocate for his clients. He is an aggressive, knowledgeable lawyer that uses his powers for the good of his clients. Michael breaks the stereotype of criminal defense lawyers by actually being a likable, principled individual who can talk to individuals at all walks of life. I still have my Job thanks to Mr. Harwin — It took a year, but with patience, Michael got the job done. My case went to trial with almost double the legal limit for impairment. It was a long year, but it was worth the wait. If you find yourself in the type of situation where you need the help of a DUI lawyer, you will not find a better one in Tucson than Michael Harwin. An Advocate & Partner, Not Just An Attorney — Mr. Harwin understood my situation and worked as a coach throughout to guide me through what became an eighteen month ordeal of motions, hearings, and eventually trial. He expertly informed and eased not only my questions and fears but those of my current fiance in this matter. Complications of my DUI charge would impact my career, child custody, and personal well-being, which Mr. Harwin calmly dissected and addressed. With him at the helm, I was found not guilty of all charges via trial. Best Criminal Lawyer in Tucson — Mr. Harwin is an excellent criminal defense lawyer…he defended my son when he needed legal counsel….Mike was knowledgeable, eager to help and fought my sons case as thought it was his own. I would highly recommend Mike Harwin for your criminal defense needs. I Highly recommend Michael A Harwin!! — When my son got into legal trouble in Tucson,Arizona while I was thousands of miles away in Pennsylvania, Michael Harwin was my saving grace. Mr. Harwin is intelligent, knowledgable, and yields great results. Not only is he responsive, he is very personable and always gave me peace of mind by keeping me in the loop with what my son was going through and what to expect. He helped make an incredibly difficult time more manageable, and I’d highly recommend him to anyone in need of a lawyer in the Arizona area. Best Tucson Dui Lawyer — Michael Harwin is the best Tucson DUI lawyer. He is a very hard working and fair person. He is very friendly and actually cares about his clients. You go to his office and it doesn’t feel like you are talking to a lawyer. Last summer I was charged with DUI and since I am an immigrant, the consequences are more severe. 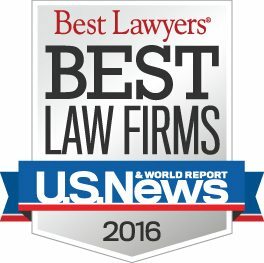 I did a little bit of research and found out that Michael is rated as one of the best of the best Tucson DUI lawyers all over the internet. I am glad I picked Mr.Harwin because he worked very hard and got all my DUI charges dismissed.